Born in England, Paine was apprenticed to his father, a corset maker, and also tried other occupations—all without success. On the recommendation of Benjamin Franklin (whom he met in London), Paine immigrated to America in 1774, became a writer in Philadelphia, and was prompted by the revolutionary physician Dr. Benjamin Rush to write a pamphlet in support of independence from England during the intense colonial debate on the subject. 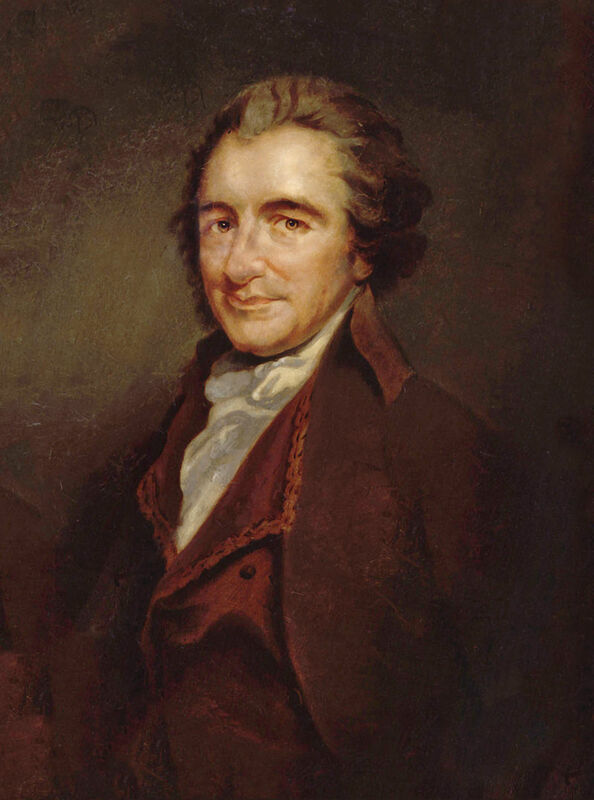 Paine’s Common Sense was published on January 10, 1776, and became a runaway bestseller, swinging the debate in favor of independence. Paine became an ardent revolutionary and, between 1776 and 1783, wrote the so-called “Crisis” papers, which were invaluable in keeping the Patriot cause alive during the war.